In 2014, Rachelle Arizmendi was elected to the City of Sierra Madre City Council and currently serves as the Mayor. Rachelle is the Vice-President and Chief Operating Officer of PACE (Pacific Asian Consortium in Employment). PACE is a non-profit community development organization that serves over 50,000 people every year in the areas of job training and employment, business development, early education, asset building, and energy & environmental services. She was appointed by California's Governor to serve on the California State Board of Food and Agriculture where she addresses key issues regarding California’s farmers and ranchers, community stakeholders and citizens. Rachelle also serves in leadership positions on several Boards including the California League of Cities, the League’s Asian Pacific Island (API) Caucus, National Coalition of Asian Pacific American Community Development (CAPACD), Foothill Workforce Development Policy Board, and the Sanitation Districts of LA County. She is also a Governor Appointee to the Interagency Council on Early Intervention and is an Advisory Member of the South Coast AQMD Local Government & Small Business Advisory Group. 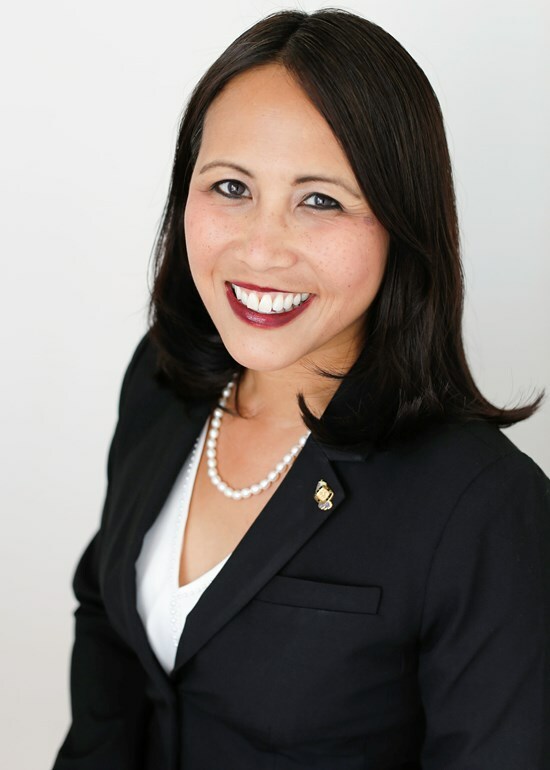 In December, she was voted in as President of the Asian Pacific Policy and Planning Council Board of Directors (a coalition of 40 organizations throughout the county). In 2017, she was recognized by the Southern California Leadership Network as one of their top 30 alumni during the last 30 years and was CA Assembly Member Holden’s Women of Distinction. In 2016, Rachelle was one of LA County Supervisor Antonovich’s Women of the Year. This past year, Rachelle completed NeighborWork’s 16-month Achieving Excellence program through the John F. Kennedy School of Government at Harvard University. She was also part of a 10-person nationwide Asian-American delegation to Japan sponsored by Japan’s Ministry of Foreign Affairs. Born in Carmel, California, Rachelle grew up in Salinas, California and is a graduate of San Diego State University and the graduate school of Eastern Illinois University. Rachelle, her husband Fili, and their dog Madison have been homeowners in Sierra Madre for over 11 years.